The 43-year old mother of four is a certified hot momma. She grew up in West Virginia with a chemical engineer father and an English teacher mother. It was a little surprising that she landed on film and TV because when she was younger, she was more into ballet and chemistry. Today, we’ll give a list of Jennifer Garner-Affleck’s best remembered big screed appearances. 1. Pearl Harbor. In this 2001 film, Jen plays supporting role as a nurse who worked with the lead actress Kate Beckinsale. 2. Daredevil. She played the role of a superhero, Elektra, who was also the love interest of the main character Ben Affleck. In its opening week the movie garnered over 45 million dollar making it a box office hit. 3. 13 Going on 30. This romantic comedy directed by Gary Winick stars Garner as Jenna Rink. Her romantic interest was Mark Ruffalo. Her bubbly personality was one of the things that made this movie very memorable. 4. Ghost of the Girlfriends Past. Alongside Matthew McConaughey, Jen plays the role of Jenny Perotti who was the only girl to capture the heart of the male protagonist. 5. Alexander and the Terrible, Horrible, No Good, Very Bad Day. 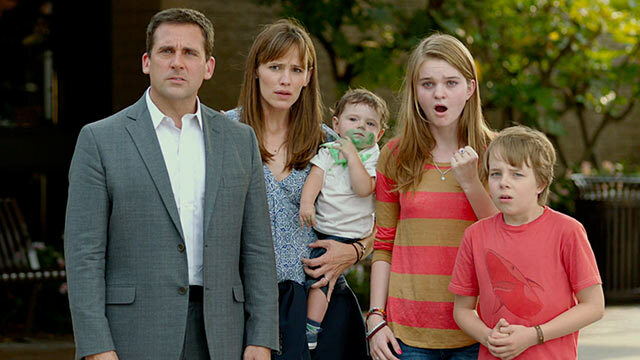 In this Disney film, Garner plays as a mother of four children alongside Steve Carell as her husband. 6. Dallas Buyers Club. Jen takes the role of Dr. Eve Saks in this American biographical film directed by Jean-Marc Vallée. This film is about a man with AIDS during the period when the condition was little known and stigmatized.